"Every Dawn Of Our Life A Heart Is Forged"
As a human being Marc,was like all of us, susceptible to excess. The drink and drug taking episodes are well documented elsewhere, but that should not detract from his tremendous talent. In fact we can see Marc draw on his experiences in songs such as "Teenage Dream", "Left Hand Luke", "All Alone" and "Dandy In The Underworld". It is also known that Marc was a hard taskmaster and certainly in the 'big' years a total perfectionist. He also cared about his fans, with an example being the non-album 'b' sides. Today he still has an army of loyal fans, who keep his music alive. The fact that even as I write this (August 2003) "Children Of The Revolution" is being used as a back drop to an advert for "3 Mobile" in the United Kingdom, just proves the longevity of his music. Marc Bolan was born Mark Feld on the 30 September 1947, in Hackney London. Following stints as a male model, playing in a school band with Helen Shapiro and being a Mod about town he started to make serious efforts to be a star. 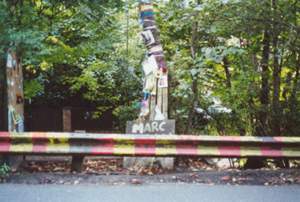 Marc's debut single "The Wizard" was released,on Decca Records in the U.K, in 1965 and followed up with, "The Third Degree" &"Hippy Gumbo . 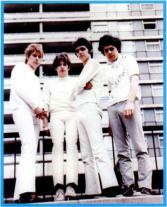 As sales were not good his then manager Simon Napier-Bell, arranged for him to join the group John's Children in early 1967. 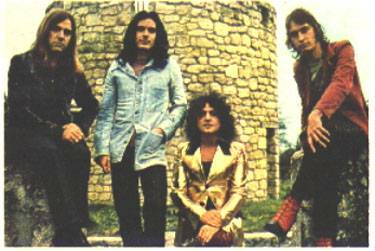 Their most (im)famous release being the classic, Bolan penned, "Desdemona" featuring Andy Ellison on lead and Marc on backing vocals. It was banned in many outlets due to it's sexual content. Marc was not happy about the way his songs were treated, leaving after a few months. 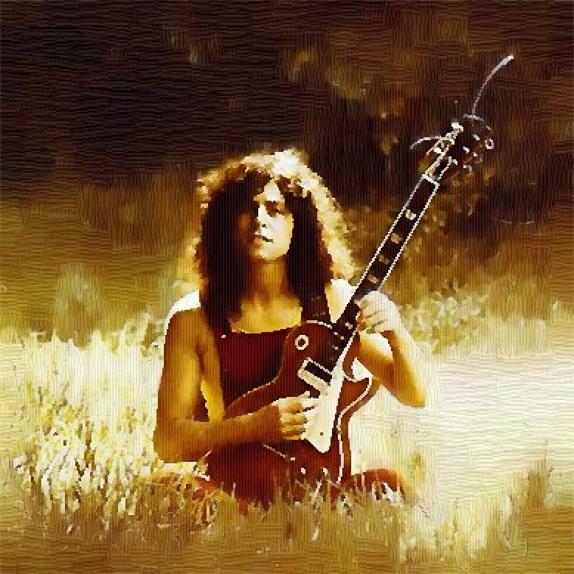 Later in 1967 Marc and percussionist Steve Peregine Took formed an acoustic duo called Tyrannosaurus Rex. They made three albums, "My People Were Fair and Had Sky in Their Hair but Now They're Content to Wear Stars on Their Brows" (1968), "Prophets, Seers and Sages, the Angels of the Ages" (1968), and" Unicorn" (1969), then following an acrimonious American tour, split up. Steve Took died tragically in 1980 after choking on a cherry stone. It is alleged as a direct result of using a Tyrannosaurus Rex royalty cheque to purchase drugs. Marc brought in Mickey Finn as a replacement for the new album Beard of Stars (1970). This album also returned Marc to his electric roots, amid comments about him "selling out" like his hero Bob Dylan. 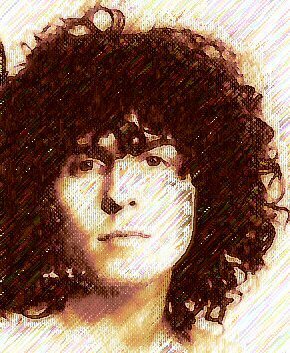 In 1970 Marc shortened the group name to T. Rex. 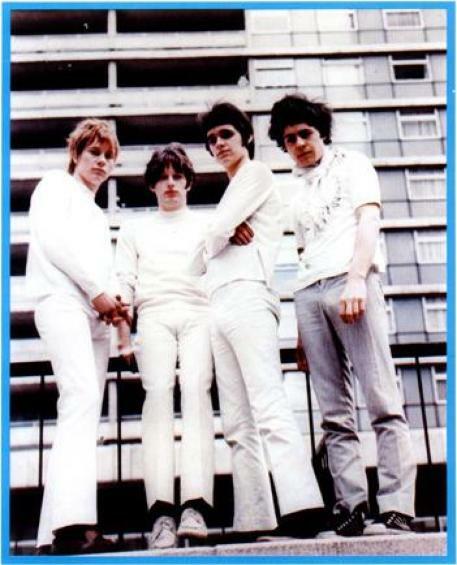 The change worked as later that year they achieved a no 2 U.K. hit with "Ride a White Swan," the first of ten straight Top Ten hits, and the album "T. Rex" was well received. The group was enlarged to include bass player Steve Currie and drummer Bill Legend (real name Fifield), T. Rex were now a full-fledged electric band, and scored number one hits in 1971 with "Hot Love" and "Get It On." Renamed "Bang a Gong " the song became T. Rex's only notable U.S. hit, making the Top Ten in 1972. The album "Electric Warrior" (1971) was released and is still thought by many to be T.Rex's finest hour. It topped the U.K. charts and "Jeepster" was lifted from it as a single by the record company,apparently against Marc's wishes. 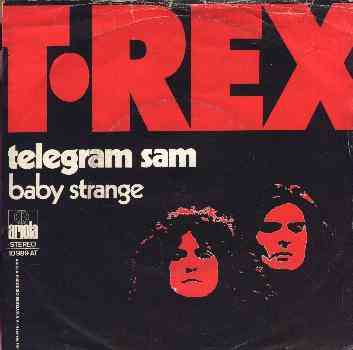 "Telegram Sam" (1972) became T. Rex's third U.K. number one. This was followed by a fourth, "Metal Guru". "The Slider" album, became a Top five hit in July 1972. 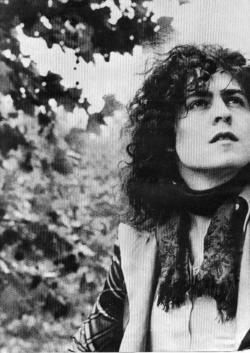 T. Rex's seventh straight Top Ten single, "Children of the Revolution," became the first single to break the run of number 1's, peaking at 2. "Solid Gold Easy Action" in December also made number 2. March 1973 saw the release of"20th Century Boy," the ninth T. Rex Top Ten single and possibly now the most famous today, due to it's use in a "Levi", advert featuring a young Brad Pitt, in 1991. "Tanx" the album, featuring Marc sitting on a small tank in a suggestive way,also went top 10 In June 1973, "The Groover" famous for it's intro shout of T-R-E-X! became the groups's tenth and final Top Ten single. 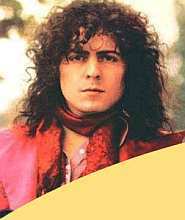 Marc tried using his own name on records, issuing the non-charting "Blackjack" single credited to "Big Carrot", also issuing "Teenage Dream" as Marc Bolan and T.Rex. Finally going back to the "T.Rex brand" even though the original group was fragmenting, Bill Legend having already left. The album "Zinc Alloy and the Hidden Riders of Tomorrow" (1974) can really be seen as the start of Marc Bolan's decline. Originally called "A Creamed Cage in August" and with Marc calling himself "Zinc Alloy" the record company, in an obvious panic, insisted that the name "Marc Bolan and T.Rex" appear on the cover. Matters were not helped with the cover showing an oily tanned Marc with his trademark long hair cut shorter. Another major factor was the emergence of the fresh faced David Cassidy and Donny Osmond. New posters for teenage walls! Around this time Marc also parted company with his wife June, following an affair with T.Rex backing singer Gloria Jones. Long time producer Tony Visconti also left. Marc would now produce on his own. The singles "Teenage Dream" and "Truck On (Tyke) both missed the top 10, more proof of the slip taking place. 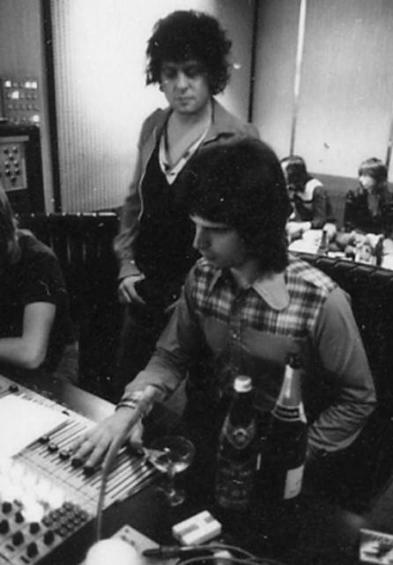 Marc and Tony Visconti during the mixing of "Zinc Alloy"
The lyrics above, from 1977's "Dandy In The Underworld" really sum up the years 1974 to 1975. Marc's increasing use of drink and drugs had made him noticeably overweight. That coupled with his desire to crack America only dimmed his star more in the U.K. A constantly changing line up for T.Rex also left fans wondering what was going on. 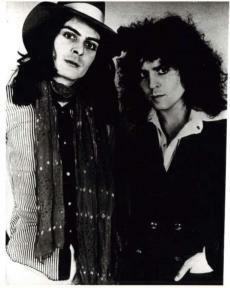 A change of style hinted on "Zinc Alloy" became fact on the next album, "Bolan's Zip Gun" (1975). 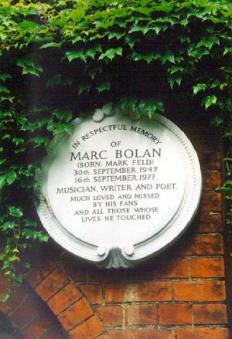 The use of "Soul backing", in an obvious attempt at the American market, turned off many of Marc's remaining fans resulting in the album flopping badly in Britain. With the benefit of hindsight we can now view "Bolan's Zip Gun" in a different light and see many plus points not evident at the time. The singles of this period "Light Of Love,"Zip Gun Boogie, "New York City" and "Dreamy Lady"are best described as disappointing, with only "New York City" making the top 20. Around this time Mickey Finn also departed T.Rex. 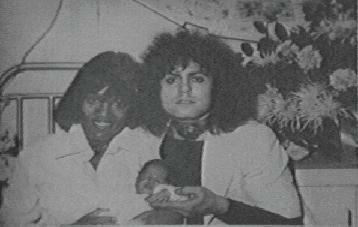 On 26 September 1975 Marc and Gloria had a child and called him "Rolan"
This new responsibility had a positive effect on Marc and he started to cut back on his excesses, although the drink was still a problem. Marc left the UK for tax reasons in early 1976 spending the year between Monaco and the USA. A new television show called "Supersonic" appeared in the UK, it's host Mike Mansfield was to become a leading light in returning Marc Bolan to the public stage. This coupled with Marc's interviewing slot on the "Today" show propelled Marc back as a 'face'. The album "Futuristic Dragon" was released in 1976. A number of the songs being left over from previous sessions. As an album it was seen as an improvement on "Bolan's Zip Gun" , but sales were still poor.One other bright moment in 1976 was of course T.Rex's return to the UK top 20 with the song "I Love To Boogie" reaching number 13. It would however be 15 years before T.Rex graced the 20 again, with a re-issue of "20th Century Boy" also peaking at number 13! The arrival of Punk had obliterated most of Marc's fellow chart acts from the early seventies, with the notable exception of David Bowie. It is to Marc's credit that he grabbed the 'bull by the horns'! The Dandy tour featured upcoming punk group "The Dammed" as support and his "Marc" TV show brought the first televised performances by "The Jam" and "The Boomtown Rats" The actual album "Dandy In The Underworld" (1977) was very well received by fans and critics achieving a respectable position in the UK album chart of 26. Ironically Marc's last televised perfomance was with David Bowie in the final "Marc"show recorded just days before Marc's death. It was shown posthumously in tribute. For much of his life Marc Bolan had always said he would not live to make 30 years old. 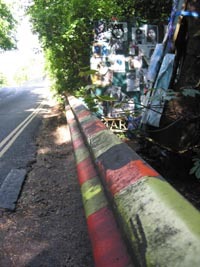 In the early hours of 16 September 1977 a purple Mini 1275 GT driven by Gloria Jones left the road and hit a tree in Barnes, London. In the passenger seat was 29 year old Marc Bolan. He was killed instantly, two weeks short of his 30th birthday. I do not claim ownership of any photos or lyrics. These are used to honour Marc Bolan and not for monetary gain.